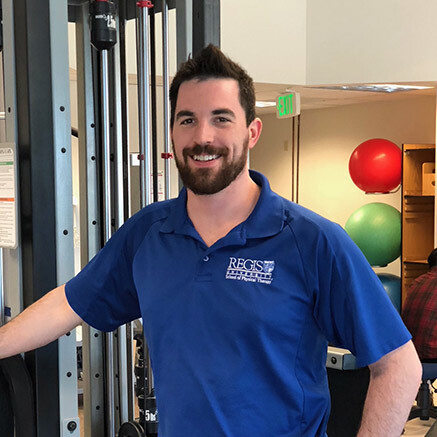 Chris grew up in Aurora just a single exit away from this medical center and is proud to give back to the community that formed the physical therapist he is today. He is pursuing his Certified Hand Therapy to specialize in the upper extremities as well as his certification in trigger point dry needling. He also has experience with vestibular and vertigo rehabilitation, which has become very important in his life with a complicated diagnosis with his own mother. He spent 11 years in Jesuit education attending Regis high school, university and school of physical therapy. Recreationally, Chris is very passionate about hockey, playing and refereeing in the local youth, junior and college club leagues. Lastly, he is researching the potential benefits of including music therapy, specifically guitar, with upper extremity rehabilitation.